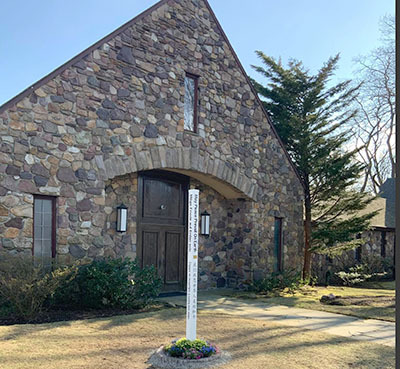 On April the 6th, 2019 The Church of St. Jude of Wantagh, NY and St. Michael & All Angels Episcopal Church of Seaford, NY were gifted symbols of Peace from a young man, Thomas Giannuzzi, to their respective congregations. 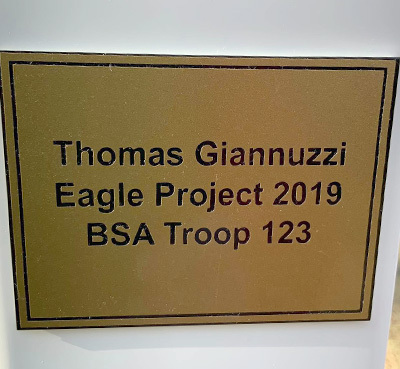 Thomas Giannuzzi, of (BSA Troop 123), did this act of kindness leading up to his final project as an Eagle Scout. He raised the funds and carefully chose the languages to be displayed on the Peace Poles that would adorn the Parishes. To become and move up as an Eagle Scout one has to show Citizenship in the Community, Nation and Globally. Thomas chose a Peace Pole as his Final Project to portray his message of spreading Peace to those locally, throughout the Nation as well as around the World. Thomas was a pleasure to work with, is as mature as he is kind. He has a very bright future ahead of him. 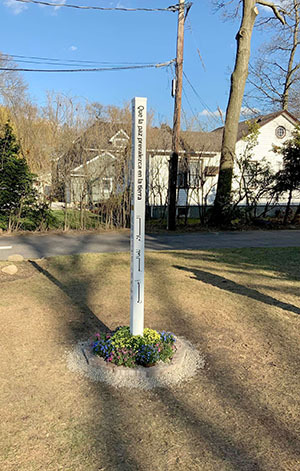 The town of Wantagh now has Peace Poles in front of the church on Lufberry Avenue, St. Michael & All Angels chose to place their’s in the narthex. The Peace Poles read “May Peace Prevail on Earth” in English, Chinese, Spanish, Arabic, Hebrew, French, German, and Greek. They also have a Plague placed with the same in Braille. The Congregation hopes many will come to see the new special attraction, and in doing so help to spread the message of Peace. Using these affirmations as a way to conduct themselves, much as Thomas intended. 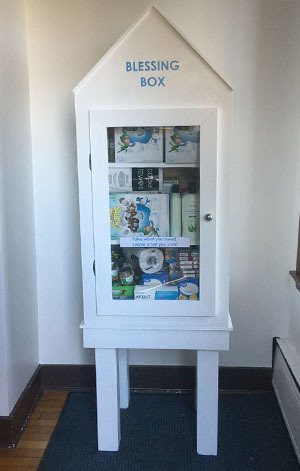 You may see The Church of St. Jude at: 3606 Lufberry Avenue, Wantagh, NY 11793. Thank you to Thomas for helping to spread the message of Peace. The Churches of St Jude with St. Michaels & All Angels.